Here is a handout and lesson idea for YW manual 1, lesson 37: Caring for Our Physical Bodies. 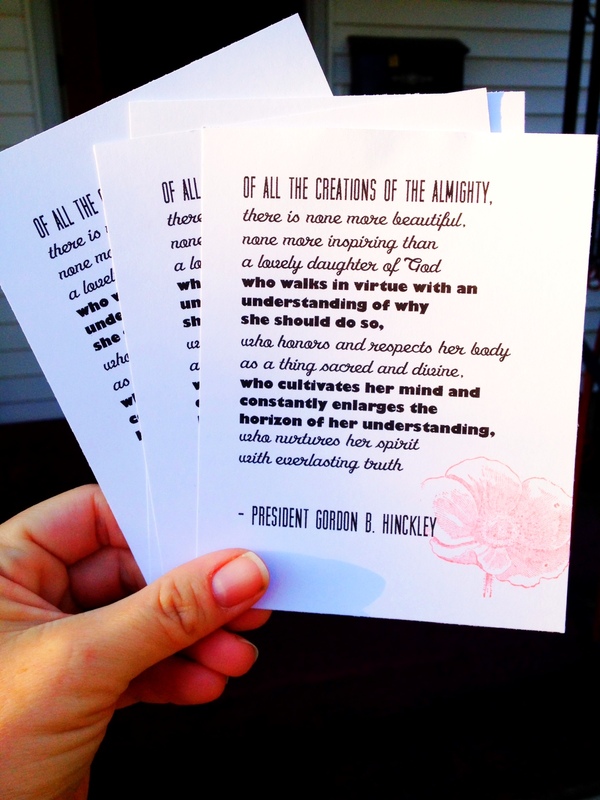 For the handout I printed out this quote from President Hinckley on white cardstock, then stamped a flower image on it. The lesson has quotes from the talk given by Susan W. Tanner, interspersed in italics throughout. You can download it all here. One thing I plan on doing that is not in the lesson plan, is to bring out a printed photo of the temple, and ask the girls what we could do to “beautify” it. Then I will doodle some tattoo art on it, and see their reactions. I may bring a little stapler too, and staple a corner of the photo. We can then discuss how our bodies are like temples, which we defile when we tattoo or pierce them. The fonts, the graphic – perfection! !